In 2006, I went to see an unsigned band open the 3rd stage at Download, quite possibly because it was unbearably hot outside and the half-empty tent provided some much-needed shade. As it turns out, their set was mind-blowing, and the next 12 months were a complete whirlwind for Enter Shikari and by the following year, they were back at Donington Park as main support to Korn on the second stage. I worried at the time that such a meteoric rise could only be matched by a meteoric downfall when the NME and Kerrang! moved on to the next band to hype. Certainly, if anyone had suggested back then that nearly 10 years later the St Albans four-piece would be headlining the 10,000 capacity Alexandra Palace, and would release comfortably my favourite rock album of 2015 in The Mindsweep, I’d never have believed you. This is still to be confirmed as an actual scientific theory, but basically every Shikari album to date is better than their previous one. …or expressed as an equation. Whether they’re doing mega intimate shows, closing Warped Tour UK, or headlining the second stage at Download, no two Shikari gigs are the same. The only constant is the energy between both crowd and band (and when they’re not touring as the main band, the four members of Enter Shikari continue to play live dance sets under the alias, Shikari Sound System). There’s never any danger of Enter Shikari being upstaged, (see Point 2) so they don’t have any issue taking amazing bands out on the road with them, including letlive., Hundred Reasons, Young Guns, The King Blues, Cancer Bats and Stray From The Path. Next February they’ll have The Wonder Years and The King Blues out with them. …and it’s not just ‘F**k the system’ either. 2015’s The Mindsweep contains their opinions on everything from the privatisation of the NHS and global warming, to the banking crisis and Greek philosophy. In fact, earlier this month frontman Rou Reynolds wrote an articulate, thought-provoking blog on the UK’s airstrikes in Syria via Rock Sound. Back in 2007, unfairly lumped in with the awful ‘New Rave’ trend of the time, nobody would have thought their rock/rave hybrid was more than a passing phase. 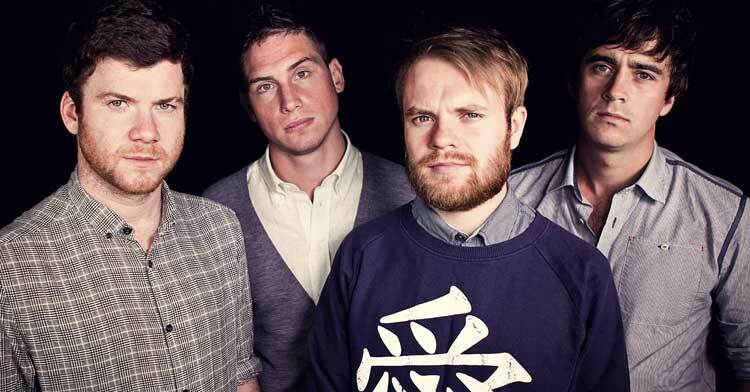 All of those bands are now long gone, whereas Enter Shikari have never been bigger or better. The band run a label Ambush Reality which put out their early releases, and have also signed the noisy, Nottingham four-piece, Heck.